YOU MAY NOT NEED A TRANSMISSION! Transmissions are a very complex piece of machinery that require not just expertise on the part of your technician, but also special diagnostic tools and equipment to properly diagnose, service and repair your particular transmission problem. Another reason to bring your transmission issue to the experts is because it can save you a lot of money from unnecessary work. A mechanic without our decades of specialized experience may diagnose your vehicle's problem incorrectly and tell you that you need a new transmission, when in reality, your car only needed a simple repair, such as a fuse, a relay, a cable, or a loose electrical connection. It could even be an external sensor that needs adjusting. For more info, visit our Buckingham PA transmission repair page. Save yourself a lot of time, trouble and expense by getting a correct diagnoses right from the beginning, along with expert care, reasonable prices, a professional and highly trained staff, and a name you can trust. If you need a Buckingham PA transmission repair shop, look no further! We look forward to adding you to our long line of happy customers! Every day at Ryan's Auto Repair we receive calls from vehicle owners who are wanting to get an "estimate" because they were told by their general mechanic that they needed a brand new transmission. Then, later when we examine the vehicle, we find that the car did not need a new transmission at all. Sometimes it only needs a minor repair, such as a loose fuse, cable or electrical connection. It might even be a problem with an external sensor. All of these are minor repairs. The vehicle owner could have easily made the mistake of hearing what sounded like a good quote from their general mechanic, and actually even think that they are getting a great deal, when the entire job was unnecessary to begin with. At Ryan's Auto Repair in Buckingham PA you can feel confident that your diagnoses will be accurate. Our certified technicians will identify whether you have an external minor repair or an internal repair. We charge nothing to perform this inspection for you, and it only takes a few moments of your time to complete the diagnostic. At Ryan's Auto Repair, we provide expert and reliable inspection, diagnoses, removal and/or repair of your transmission. We specialize in ALL transmission repair and replacements, regardless of the age, make or model of your car. Whether your car is foreign or domestic, automatic or manual, we have the expertise, experience and training to get your transmission running again at peak performance. Be careful who you allow to touch your transmission. Automatic transmissions are a very complex component that not only requires technician expertise but specialized diagnostic equipment and tools to properly diagnose and repair your transmission problem. Transmission repair Buckingham PA is often times referred to in several different ways such as rebuilds, overhauls, reconstructions, re-manufactured, etc. Whatever the term, our job is to get your car back on the road. Whether its replacing a solenoid or completely rebuilding a transmission, you can count on Ryan's Auto Repair in Buckingham PA to get it done right the first time! Why Ryan's Auto for Transmission Repair Buckingham PA? Ryan's Auto Repair specializes in repairing your broken transmission. We take pride in all of our transmission repairs and reassemble them with genuine OEM parts or better. With over 25 years of combined transmission repair experience; transmission repairing has simply become second nature to us. Ryan's Auto Repair in Buckingham PA can easily handle even the most intricate transmissions from any car or truck. 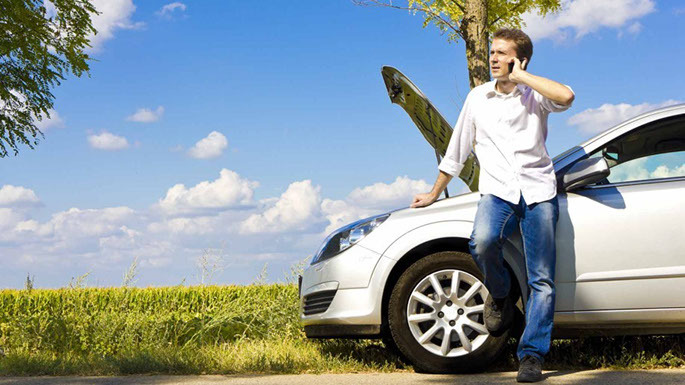 Don't take your car to just any shop in Buckingham PA for transmission repair. Bring it to the experts. with over 25 years of professional experience in the field? When you are in need of Buckingham PA transmission repair, why bring your car to the experts at Ryan's Auto Repair? When you need transmission repairs in Buckingham PA you need to take it to a specialist, not a general mechanic. We have the tools and experience necessary to get the job done right!